When it was launched in 1995, the 51,044-ton Crystal Symphony was way ahead of its time even for a luxury line, with multiple restaurants and a high proportion of balcony cabins. 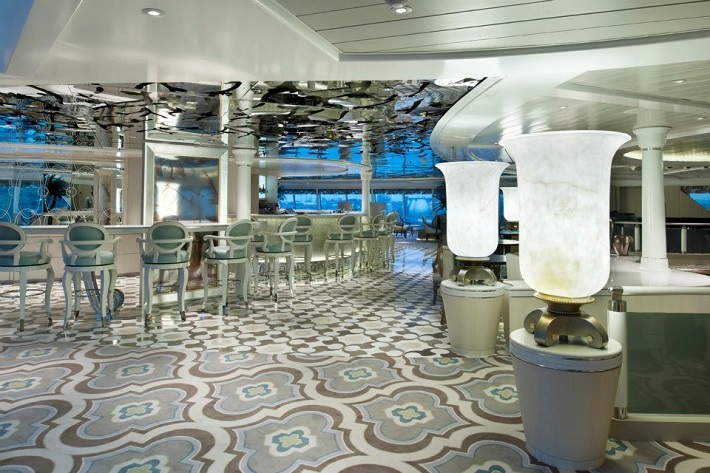 Crystal has kept this beautiful ship contemporary-looking through a series of clever refits, and its latest incarnation, following a multi-million dollar upgrade in October 2017, puts the ship right up there with younger vessels operated by its rivals: Seabourn, Silversea and Regent Seven Seas Cruises. 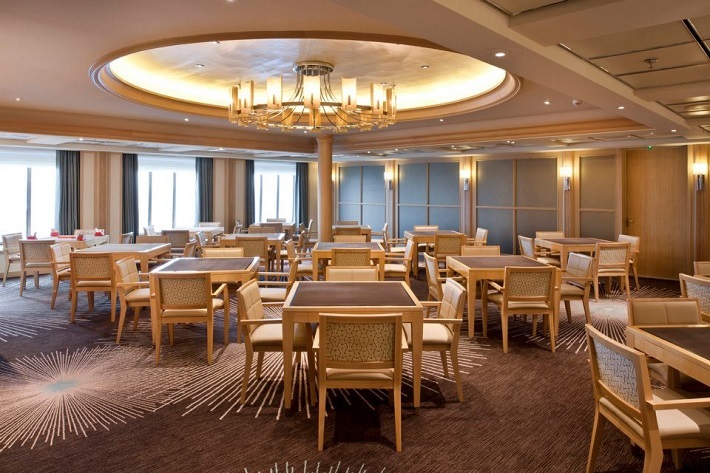 During the refit, several cabins were merged into bigger suites, effectively reducing the ship’s capacity from 922 to 848 and creating an even more luxurious feel. 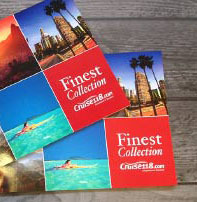 Like the other luxury cruise lines, Crystal is all-inclusive, with drinks, dining and gratuities included in the price. Where it differs is that its ships are relatively large, which means there is a wider choice of restaurants and activities. The main Waterside Restaurant is a smart, elegant space offering modern cuisine of the highest standard and open seating dining. Celebrity chef Nobu Matsuhisa has a restaurant on board, Umi Uma, offering his trademark Japanese/Peruvian fusion dishes as well as sushi and sashimi. 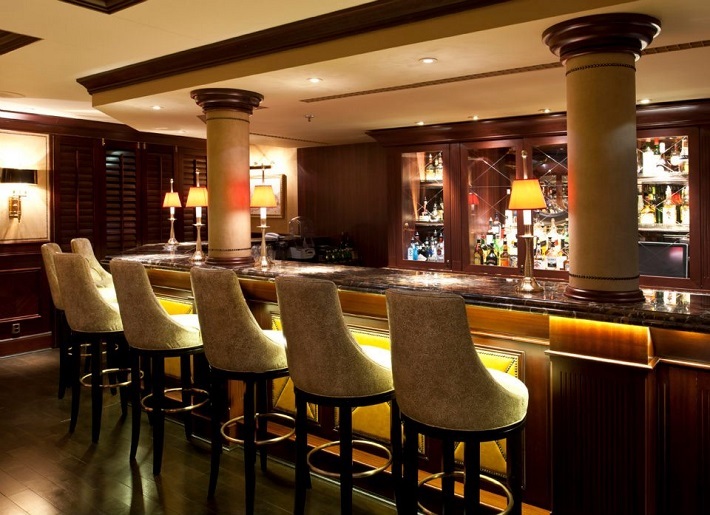 There is also a specialty Italian restaurant, Prego, serving classics and regional cuisine. All guests can eat once per cruise in Umi Uma and Prego, with compliments. After this, dining here is subject to availability and a cover charge. For more casual dining, The Marketplace on deck 11 offers a classy buffet for breakfast and lunch, while the Trident Grill by the pool is a cut above the usual casual grill, with everything made to order (not least the much-loved steak sandwiches). There is also a pretty café, The Bistro, overlooking the atrium, serving coffee, cocktails and light snacks all day. If you have a sweet tooth, do not miss afternoon tea in the airy Palm Court; it is absolutely stunning, with different themes. At the Mozart tea, waiters don full 18th century costume and serve dainty cakes straight out of a chic patisserie in Vienna, while the English Colonial tea comes with scones and cream. The ship has two new restaurants, both created in the recent refit. At night, the Marketplace becomes the Churrascaria, offering South American and Latin food and cocktails, from Caipirinhas to ceviche, with a wide assortment of tapas, skewered meats and salads. Also new is Silk, a gorgeous-looking restaurant on deck 11 done out in black and shocking pink, and flooded with natural light. Silk offers what is best described as comfort Chinese: dumplings, spring rolls, pot stickers, soups, noodles, stir fries and other Asian favourites, with a set menu in the evenings. The majority of cabins have a balcony, though the lowest grade have picture windows. Nonetheless, these still come with a stocked minibar, welcome champagne, bathrobes and luxurious Italian ETRO bath products. Upwards of these are various grades of stateroom, penthouse and suite, right up to some of the finest accommodation at sea; the Crystal Penthouse with Verandah category is beautiful, with Swarovski chandeliers, marble bathrooms (with a window, so you can lie in your Jacuzzi and gaze out to sea) and a lavish entertaining space. In the recent refit, several smaller cabins were merged to form new Penthouses on deck 9, so there are now 28 new Seabreeze Penthouse with Verandah cabins and 12 Seabreeze Penthouse Suites with Verandah (367 sq. ft. and 491 sq. ft. respectively). The new accommodation is in an appealing palette of neutrals with splashes of colour and texture, from smooth marble to luxurious-feeling padded grey leather headboards. There is no shortage of entertainment on-board, from classes and lectures to treatments in the feng shui-inspired Crystal Spa. Crystal puts a lot of emphasis on enrichment, offering art classes, web design courses, wine tasting, bridge and lectures. There is a generously stocked library, too. This is also one of the few luxury ships that is genuinely family-friendly, with a children’s club providing entertainment for three to 12 year-olds. In the evenings, the ship sparkles with life, with dancing in the Starlite Lounge, Broadway-style shows in the theatre and all manner of places to sip cocktails, although clubby piano bar, the Avenue Saloon, is the place to go for a mean martini. 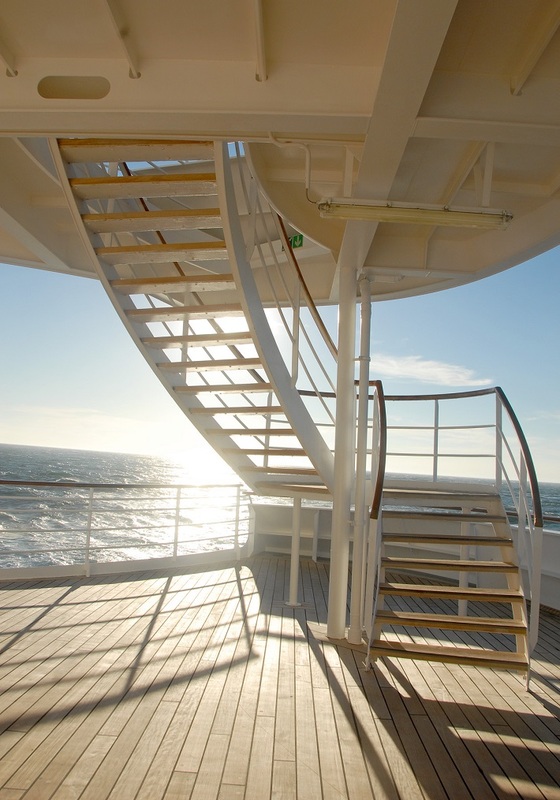 Dress code is mainly smart-casual but there is one Black Tie Optional night per cruise, presenting a chance to dress up, which most passengers do. 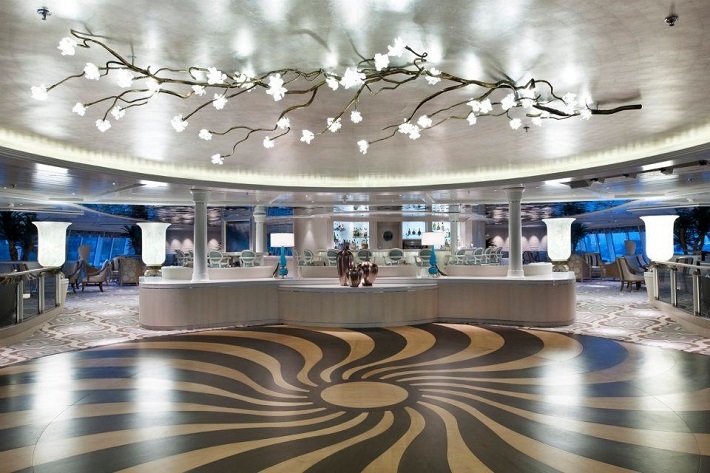 Crystal Symphony has one of the smartest casinos at sea, attracting some serious high rollers, which adds a frisson of excitement to an already glamorous setting. 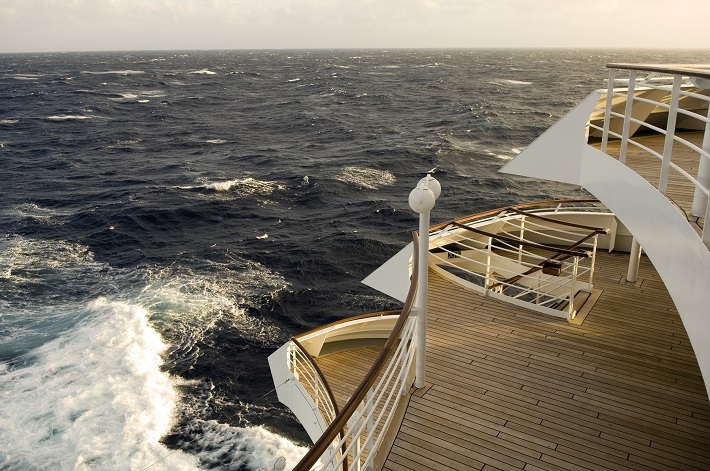 The deck furniture on Crystal Symphony is highly covetable, from luxurious circular loungers by the pool in bright oranges and greens, to swinging basket chairs where you can just lose yourself with a book. All the outside space, in fact, feels chic and fresh, with a series of living walls on deck 11 adding a luxuriant, tropical touch. Though the open seating dining is new to Crystal Symphony, dinners in the Waterside are still sociable affairs. If you are travelling solo, look out for an invitation to dine with other single travellers. Sitting at a big, lively table for dinner can be a great way to make friends.